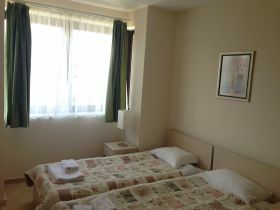 Built-up area of 100 sq.m. 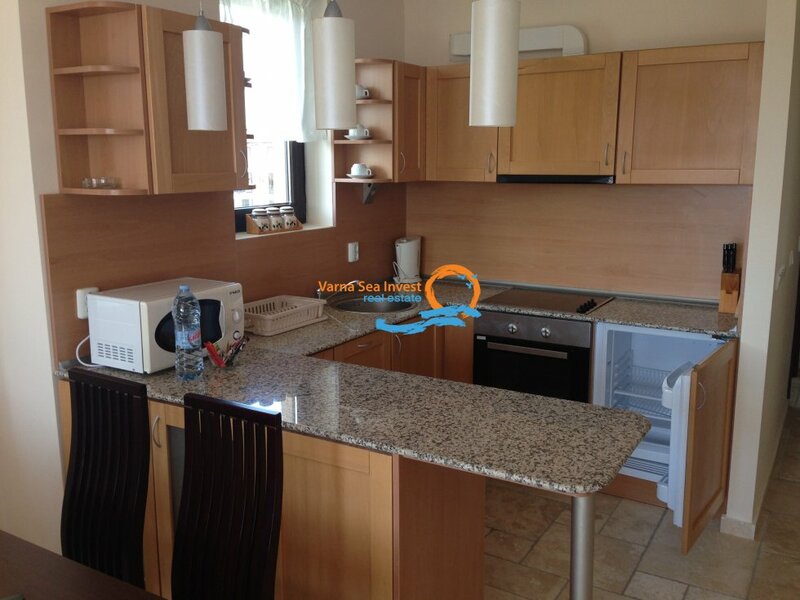 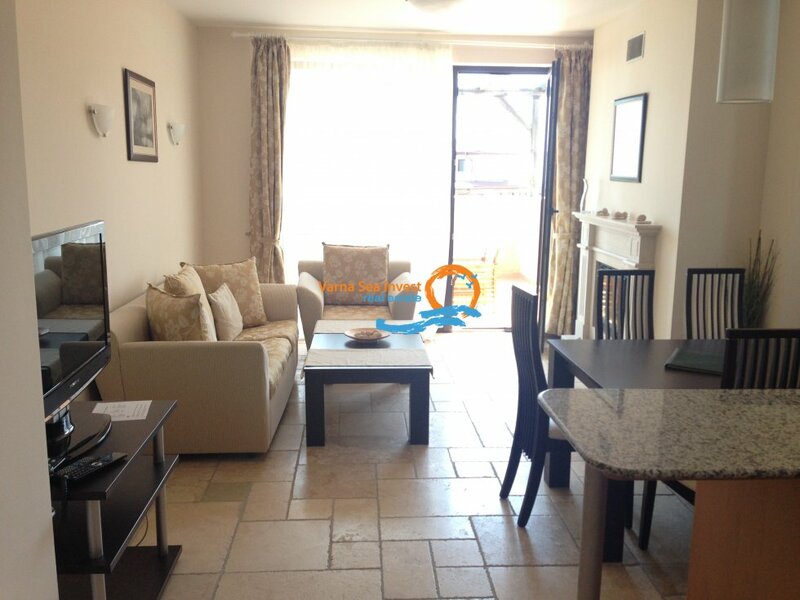 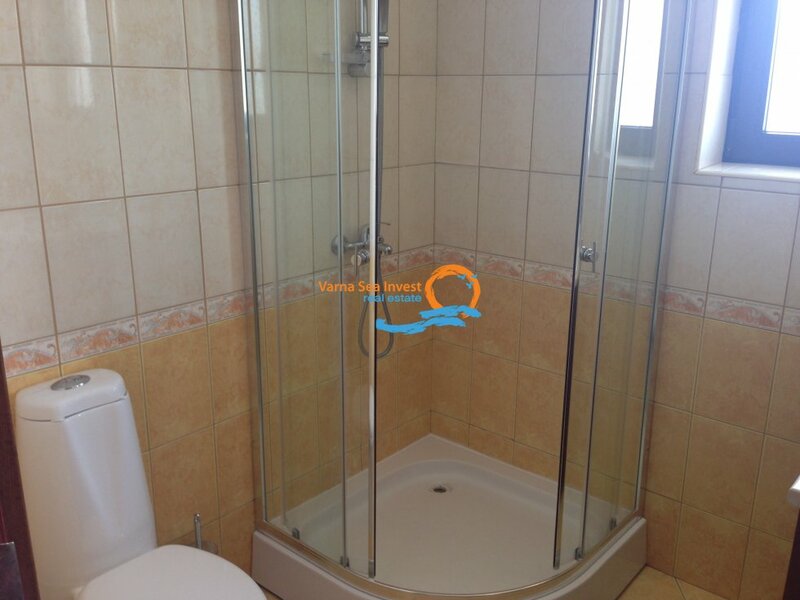 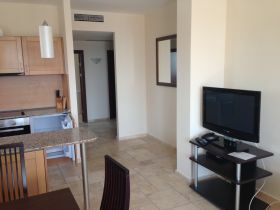 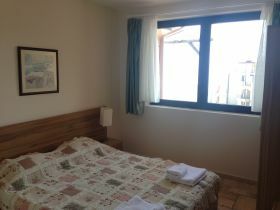 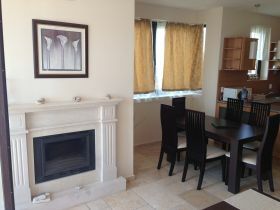 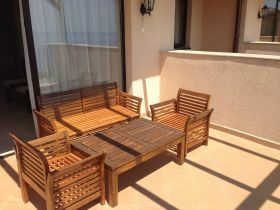 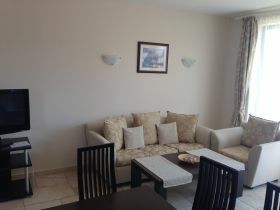 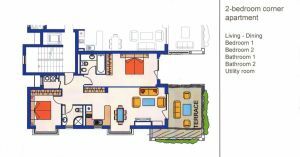 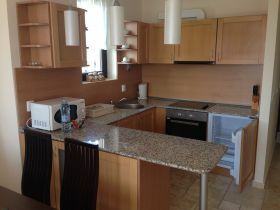 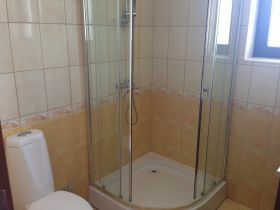 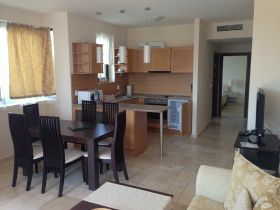 It comprises of a living room, dining room, kitchen, two bedrooms, bathroom with toilet and a terrace. 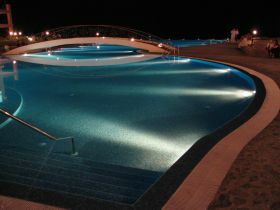 It features two restaurants, Supermarket, Cafeteria / Pub, Gym and Wellness area with a small SPA as well as various shops. 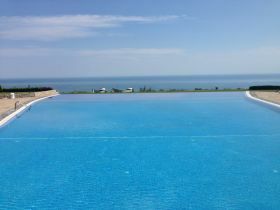 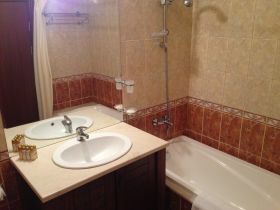 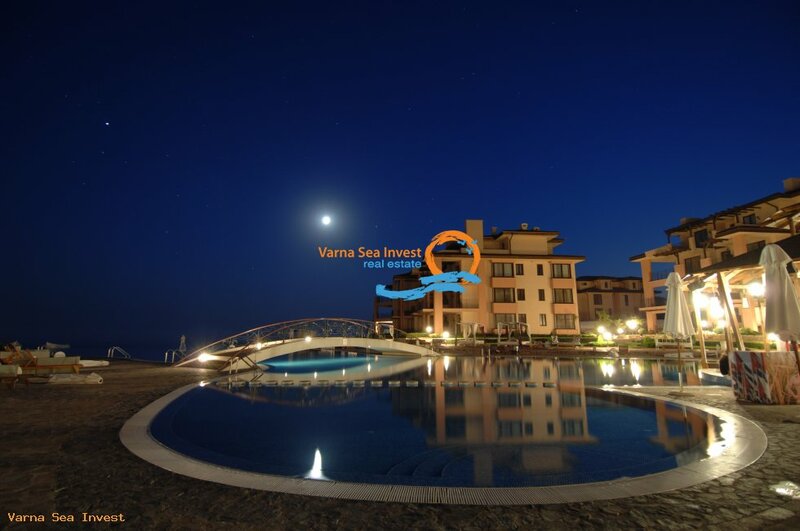 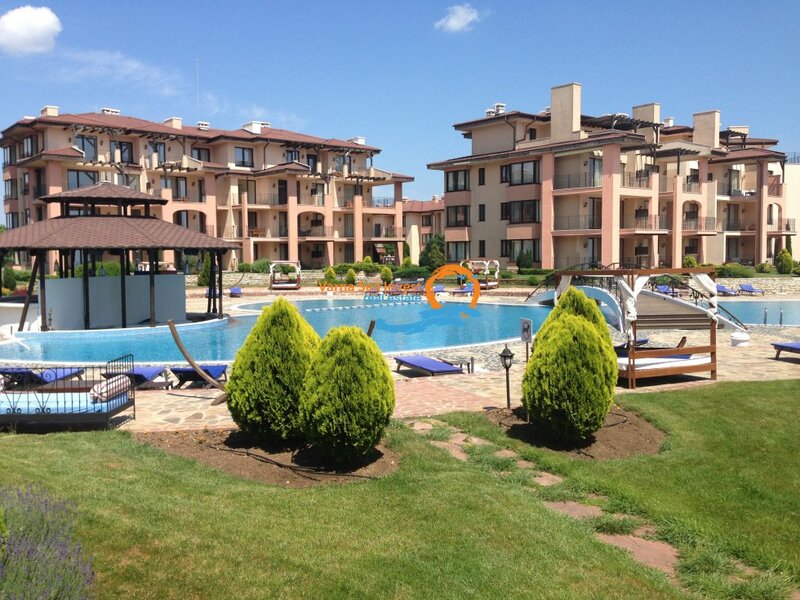 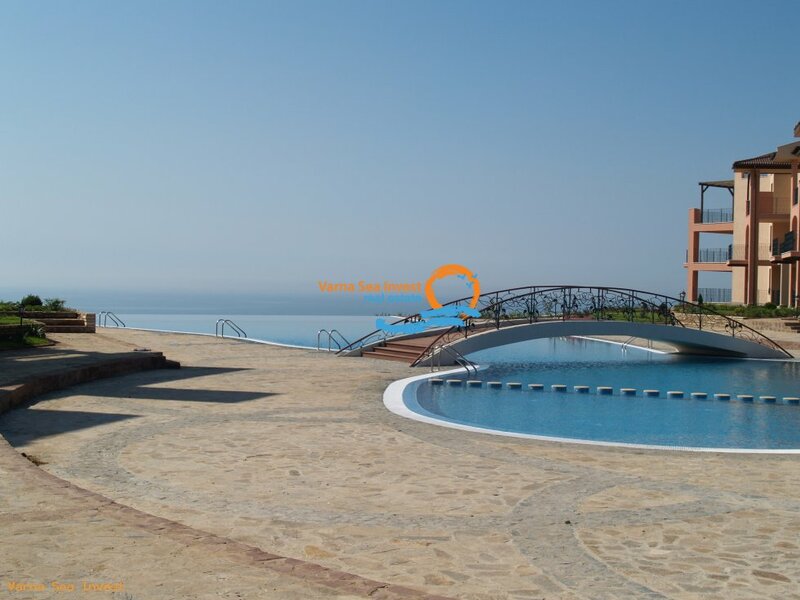 Kaliakria Gardens Golf and Sea View Development is located 55 km from Varna - the capital of the Black Sea Coast - and 45 min from Varna's international airport. 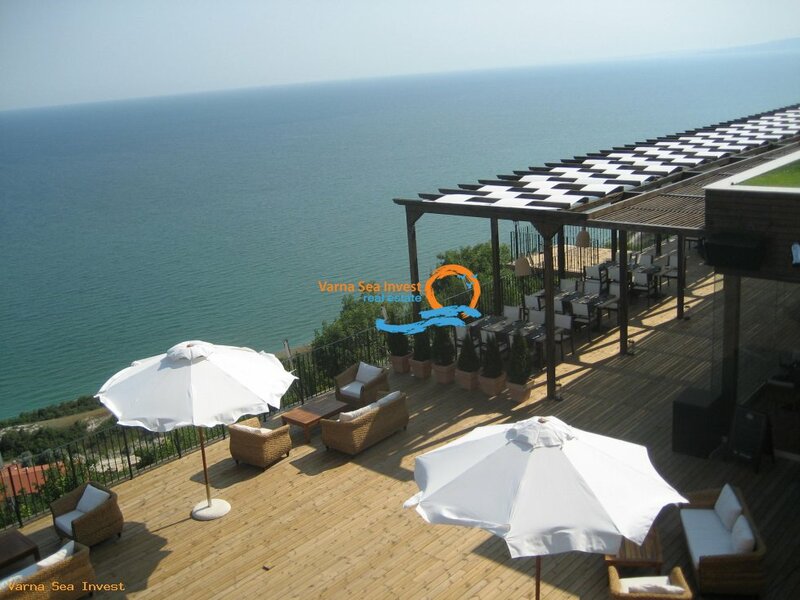 The charming port of Balchik is just 3 km away and the town of Kavarna is at distance of 4 km. 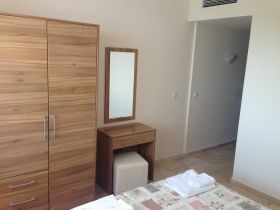 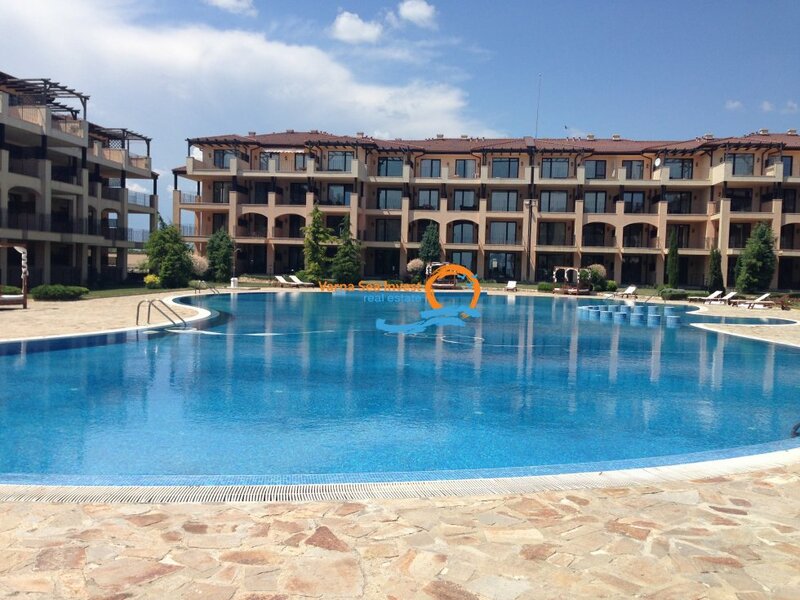 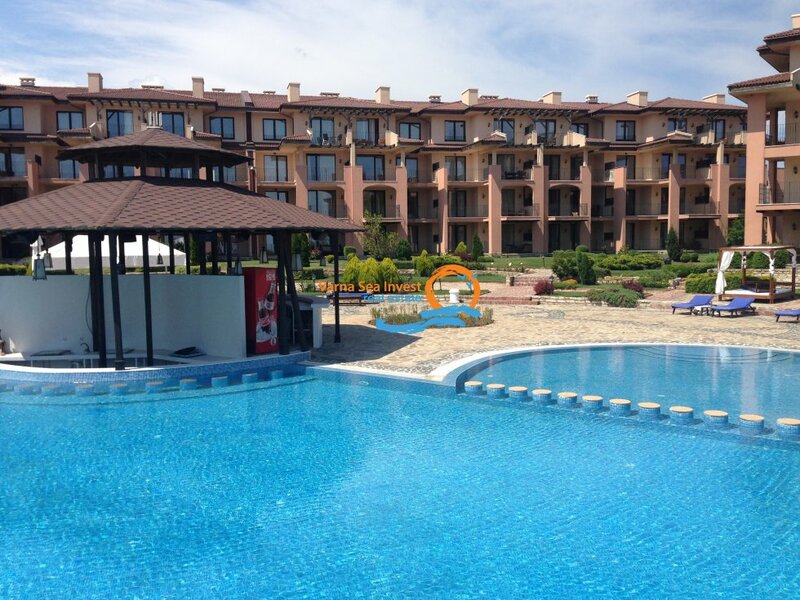 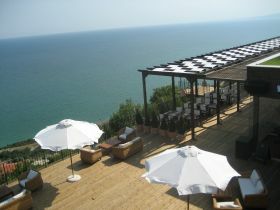 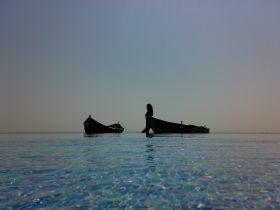 The busy international resorts of Golden Sands and Albena are 20 min drive. 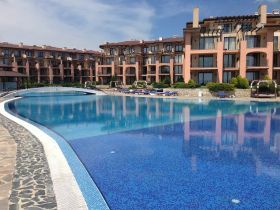 Situated in the heart of the Bulgarian Golf Riviera and boasting probably the best views in the area, the apartments at Kaliakria Gardens overlook the greens and the fairways of a new Gary Player championship 18 - hole golf course and Kavarna bay, stretching from cape Kaliakria to Albena and Golden Sands resort. 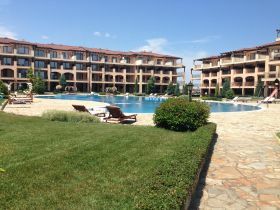 The second Gary Player Golf Resort is being built just 3 km away, while 8 km away, a third golf course designed by Ian Woosnam is also under construction. 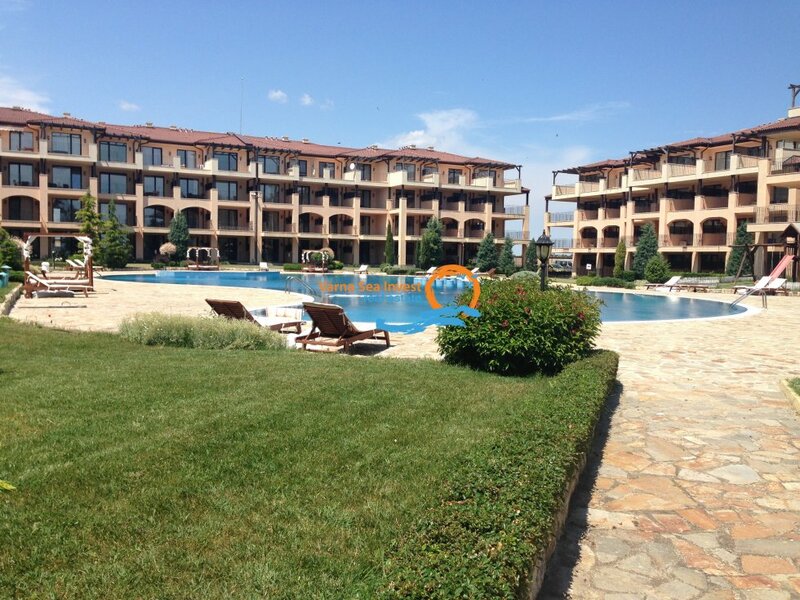 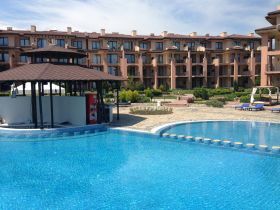 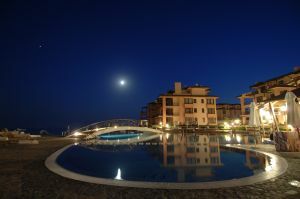 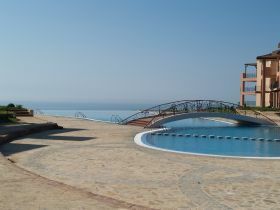 Kaliakria Gardens consists of nine, 4-storey high buildings and total of 236 apartments with large terraces which overlook the Thracian Cliffs Golf and the Black Sea or the large swimming pools. 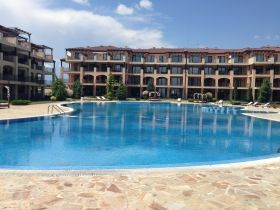 All high quality finishes and features of the previous phases are to be found here, together with two enormous pools, lush garden and number of outdoor facilities.